Yesterday we posted about recent market research for tourism and hospitality. Today we’re going to look at industry reports that may be useful in your assignments. Remember that using a range of resource scan help you write a better assignment. IBISWorld is a database which provides industry reports which include data and analysis. Our subscription includes UK industry reports, global industry reports and some Brexit statements. This report includes information on accommodation to UK residents and international guests that have other facilities for guests including restaurants, conference rooms and convention centres. There are other reports for example relating to the food service industries, travel industries and accommodation industries. It’s easy to browse reports by industry sector or you can search by keyword. You can find information about companies and read company reports on two databases – the first in Euromoniter Passport and the second is MarketLine Company Profiles. 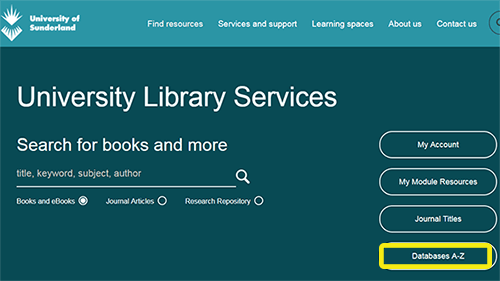 You can access both Euromonitor Passport and MarketLine via the library web page: http://library.sunderland.ac.uk – just click on the Databases A-Z link.